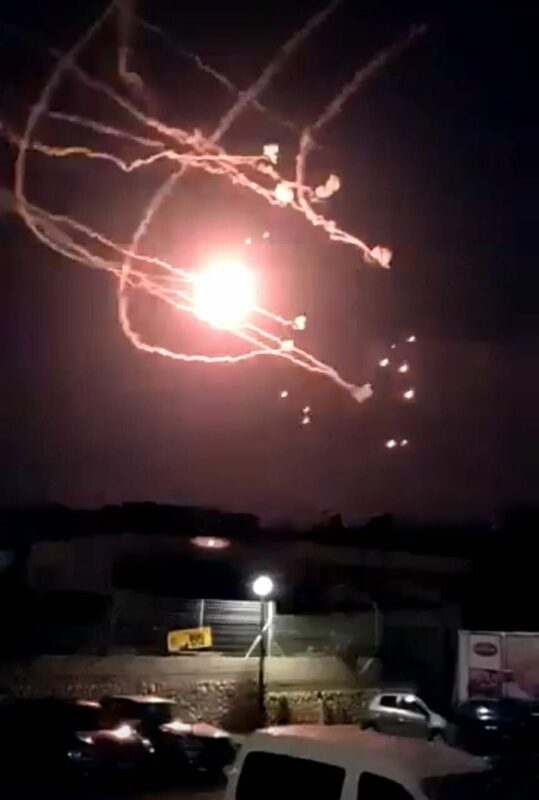 In the heaviest exchange of fire since August, IAF aircraft strike some 87 targets across Gaza by early Saturday morning, including a Hamas headquarters; nearly 40 rockets fired from Gaza into Israel, Iron Dome intercepts about 17; Islamic Jihad claims responsibility. 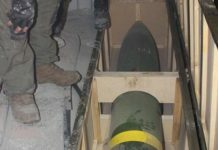 Despite recent reports that Egypt has forged understandings between Israel and Hamas, 18 Code Red rocket alert sirens sounded on Friday night and Saturday morning in Gaza border communities. In photo: Hamas HQ located near schools, hospitals, and religious sites. Seven people were evacuated Saturday to the Barzilai Medical Center in Ashkelon: six suffered from minor injuries, while another person was treated for shock. Following the barrage of rocket launch into the Gaza border region, IDF Chief of Staff Lt. Gen. Gadi Eisenkot held a meeting to assess the situation with senior IDF and Shin Bet officials at the Kirya headquarters base in Tel Aviv. On Saturday morning, the Islamic Jihad claimed responsibility for the rocket fire. “The enemy must understand that the resistance will not accept the equations it imposes, based on killing from their side and silence on our side. We decided to respond to the aggression and acted with will-power and determination. We will maintain the resistance and its stance—bombing will be answered with bombing and blood with blood. We will be committed to a cease-fire deal if Israel commits to it. The Palestinian resistance will respond to any Israeli attack,” the organization’s statement read. The IAF struck dozens of terror sites across the Gaza Strip in response to nearly 40 rockets launched into Israel from Gaza. One of the targets destroyed was a building that served as Hamas’ general security headquarters in Gaza’s al-Daraj neighborhood. “Hamas bears responsibility for everything happening in and out of the Gaza Strip, and it will bear the consequences for the terrorist acts carried out against Israeli citizens,” the military continued. “The IDF will act with great force against terrorist attacks of any kind from the Gaza Strip and gravely sees the terror activity being led by the organizations. IDF is prepared for a variety of scenarios and is determined to continue its mission to protect the citizens of Israel,” the statement continued. Yakir Shimoni, a resident of Sderot spoke to Ynet following the attack. “We stayed with friends when we heard the sirens and loud explosions, we immediately ran for shelter. We could hear the explosions from inside. And immediately afterwards when we went outside, we saw a lot of frightened people,” Shimoni said. Shimoni slammed the government for the situation. “It does not stop. The government does nothing, and we’re just tired of it. Every time they hold a Security Cabinet meeting, they make no decisions. They attack dunes and tin cans. The bottom line is that nothing is being done. We are not in favor of demolishing anyone; we are in favor of having quiet and being able to live. We feel helpless,” he said. One of the rockets caused damage to a greenhouse in Ashkelon Regional Council There were no casualties. 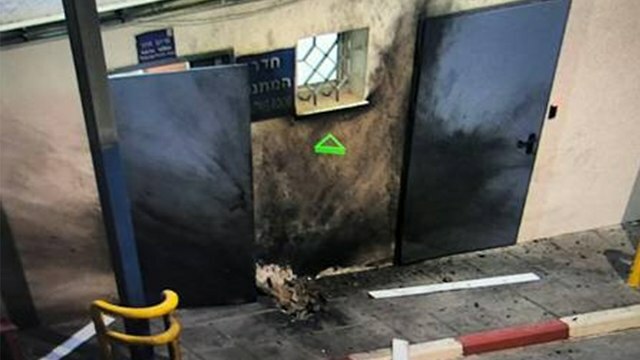 The Coordinator for Government Activities in the Territories (COGAT), Maj. Gen. Kamil Abu Rokon, posted a photo on Facebook of the damage caused by a mortar to the Erez border crossing. 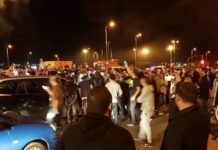 “Tonight the terrorist organizations in the Gaza Strip fired mortar shells towards the Erez Crossing and hit the ambulances’ entrance,” Rokon wrote in Arabic, addressing Gaza residents. 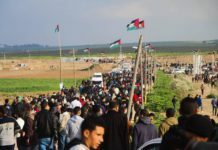 “How low could the terror organizations in Gaza go when striking the passage of the ambulances at the Erez Crossing, a crossing through which children in need of medical care enter Israel every day?” he continued. “The terror organizations do not feel sorry for you, residents of the Gaza Strip. They have not even a drop of compassion for babies, the elderly, and the poor patients among you. These terror organizations harm you first and foremost,” Rokon added. US Special Representative for International Negotiations, Jason Greenblatt, expressed his support for Israel. 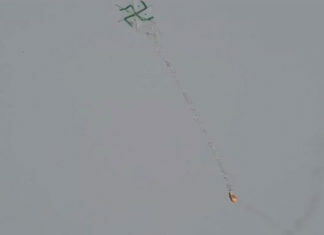 “More rockets from Gaza into Israel. Another night where parents are ushering terrified children to cover. Violence will not build futures for anyone. Our plan, when released, will offer a path that doesn’t involve fear of rockets, but brighter futures for all in the region,” he tweeted. Foreign Affairs Ministry spokesman Emmanuel Nahshon also addressed the situation in his Twitter account. “Another night of rockets launched at Israeli cities and villages from #Gaza. 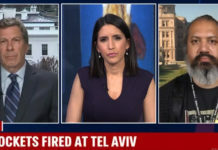 Again, peaceful Israelis pay a heavy price for the bloodthirsty tactics of the Palestinian terror organizations and their masters in Teheran and Damascus. #IDF strikes back and protects our population,” he wrote. 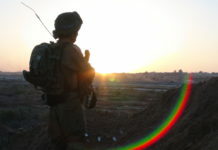 According to the IDF, Israeli Air Force aircraft, including fighter helicopters, attacked three Hamas observation posts. The Israeli army said some suspects briefly crossed the fence twice, while under constant IDF surveillance. GOC Southern Command Maj. Gen. Herzi Halevi met with the local authorities’ heads of the Gaza border communities, as tensions rise along the Gaza border. “Our policy is to return to the status quo that existed before March 30. 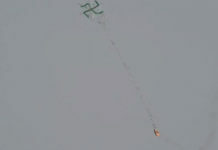 Quiet on the border without incendiary kites and balloons, we certainly recognize Hamas’ attempt to maintain quiet, there is a decrease in the intensity of the demonstrations and the incendiary balloon launch. Humanitarian aid will help reduce violence. The residents of Gaza will have plenty to lost,” Halevi stated.